Kylie Jenner self-medicating under strain of public life. 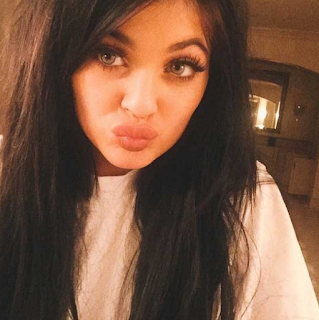 Just shy of 18-years-old, Kylie Jenner has reportedly hit rock bottom already. With a father transitioning into a woman and paparazzi following her every move, it’s understandable that the reality starlet is cracking under the pressure. But according to a family insider, the teenager’s drug problems are – as Radar previously reported – getting out of control. The source told Life & Style that Scott Disick, who recently spent a stint in rehab, was the one to alert the family regarding Kylie’s downward spiral. But who’s to blame for Kylie’s behavior? According to the insider, her drinking began at a young age and has progressed into an issue with other substances as well. Now that Kylie has her own home, a $2.7 million mansion in Calabasas, it makes matters much worse. Between her boyfriend and group of pals, the reality star is surrounded by questionable influences. She wanted to play grown now she has her starring role.